We flew into the city on Friday evening with my friend and got to the city centre quite quickly with a direct train to the central station, which was a 15-minute walk to our hotel. We stayed at Wakeup Hotel Copenhagen (the Carsten Niebuhrs Gade one) for our two nights in the city, which was price-quality-wise a wonderful pick. We payed around 150 euros for two nights for the both of us for a small but light, modern and clean room, and were greeted kindly and warmly. I totally recommend this hotel if you’re looking a central place to stay for a fair price. The next morning, we headed of early, by bike of course, as all Nordic countries demand as a main mean of transport. I recommend you download the Donkey Republic app to rent a bike cheaply – we paid around 12 euros for an entire day, and there’s many drop-off and pick-up spots for their nice orange bikes, which ride very smoothly also. So off we go on our bike, off to discover the capital of Denmark. 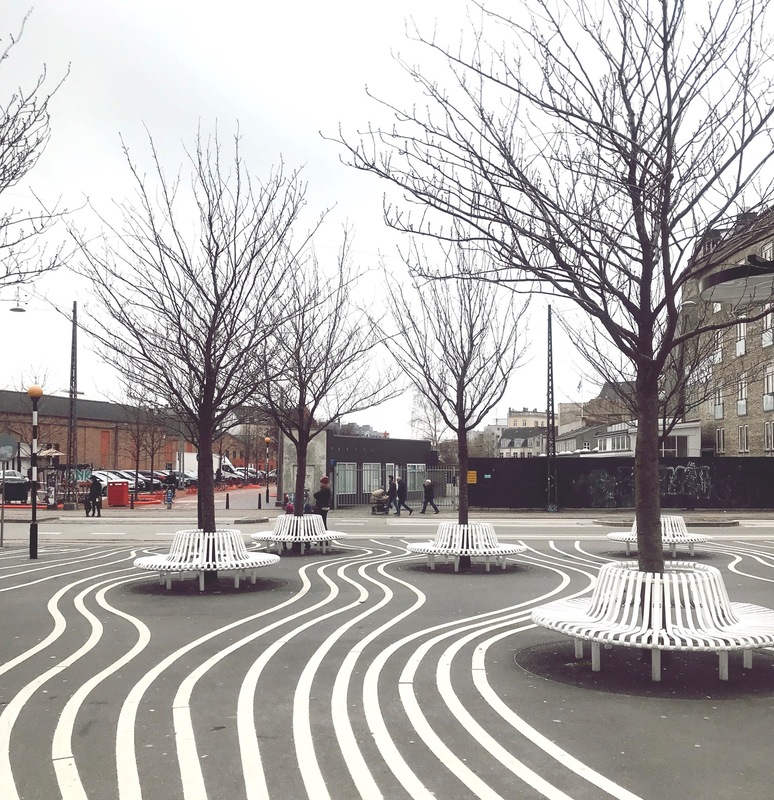 Our first stop was Superkilen Park, a public park in the Nørrebro district of Copenhagen. Its urban design is extremely cool with its game of white lines going in different directions as well as going uphill. Also, when the season allows it, the cherry trees will be flowering in the park, giving a pink touch to the grey-and-white urban dynamic. This park is so different from all other parks I've seen & been, it's worth passing by for sure! 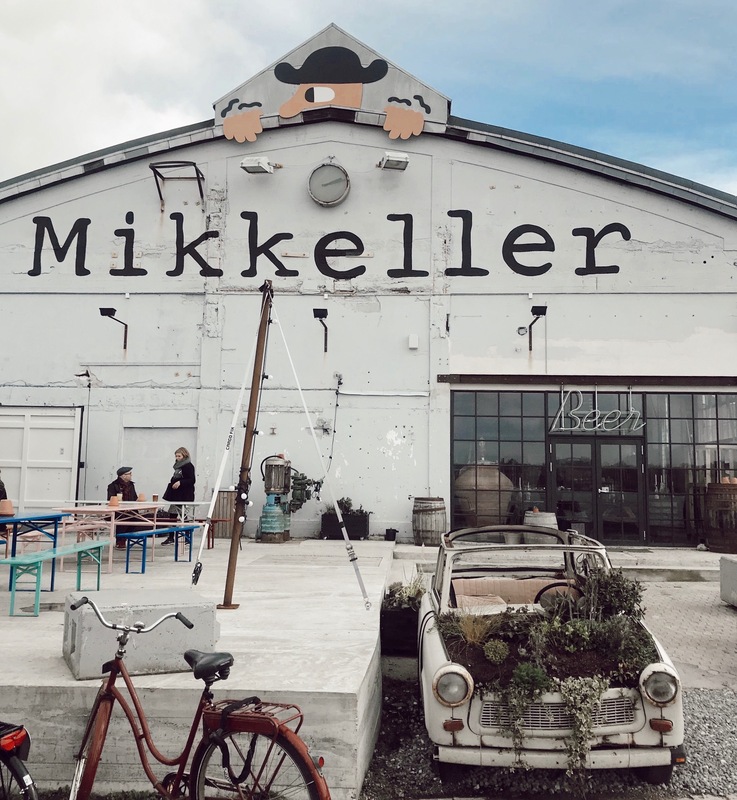 After our stop in the park we biked over to Mikkeller Baghaven, by the Danish beer brewery Mikkeller, for a sip of beer, looking over the to the Copenhagen waterfront on the island of Refshaleøen. Refshaleøen is a cool & upcoming area in Copenhagen. It’s an old industrial island that has now become the place to be to discover cool bars, great water views and enjoy delicious street food. 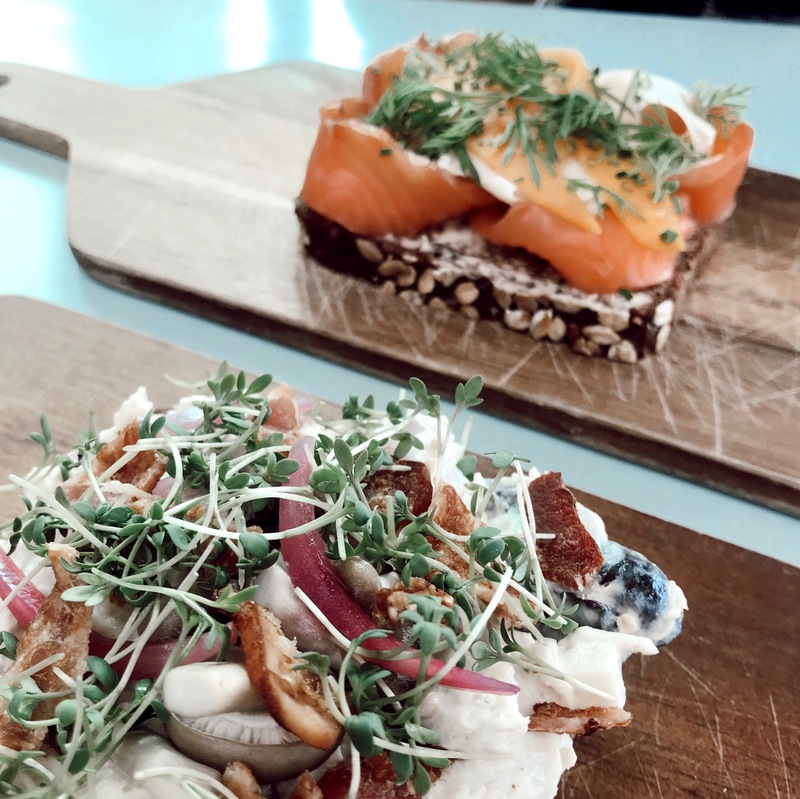 We had delicious smørrebrød, the typical Scandinavian rye bread sandwich, which looked so small but was so filling and a delightful break on this day rich in biking & wind. 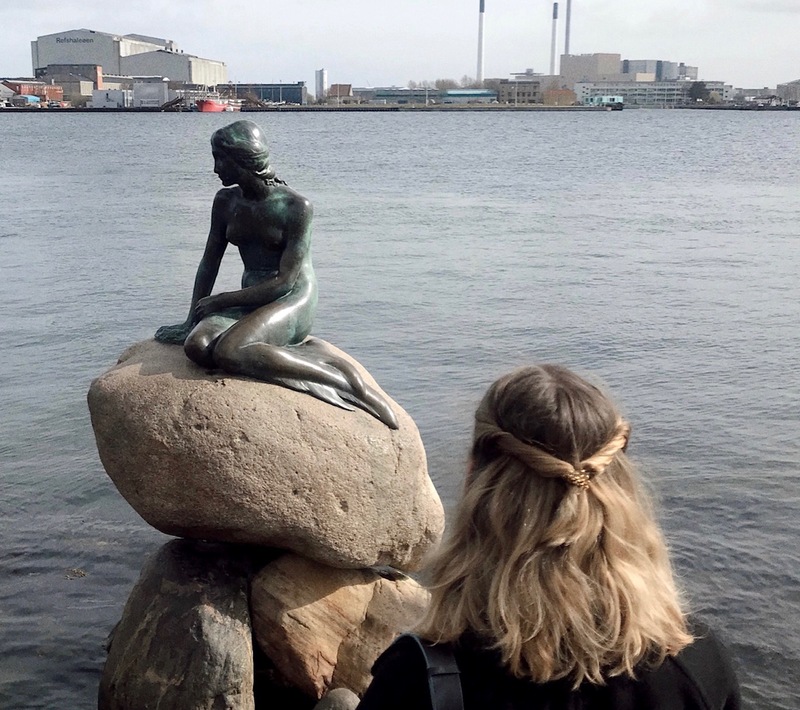 Still drooling of the thought of Scandinavian food we hopped back on our bikes to have a look at the emblematic Little Mermaid statue, based on the famous fairy tale by Danish author Hans Christian Andersen. The statue was small, an nothing that special to be honest, but the sculpture still has her fairylike charm with her place in the water but so close to the shore, just like the mermaid from Andersen’s story, dreaming of becoming human to be able to go on shore. Then after some more biking it was time for something else Scandinavians do so well: fashion. We headed to the city centre, parked our bikes, and went off wandering the Strøget neighbourhood full of all kind of shops. We couldn’t help but spend a lot of time in H&M and found so many pretty designs I’d never even seen back home. 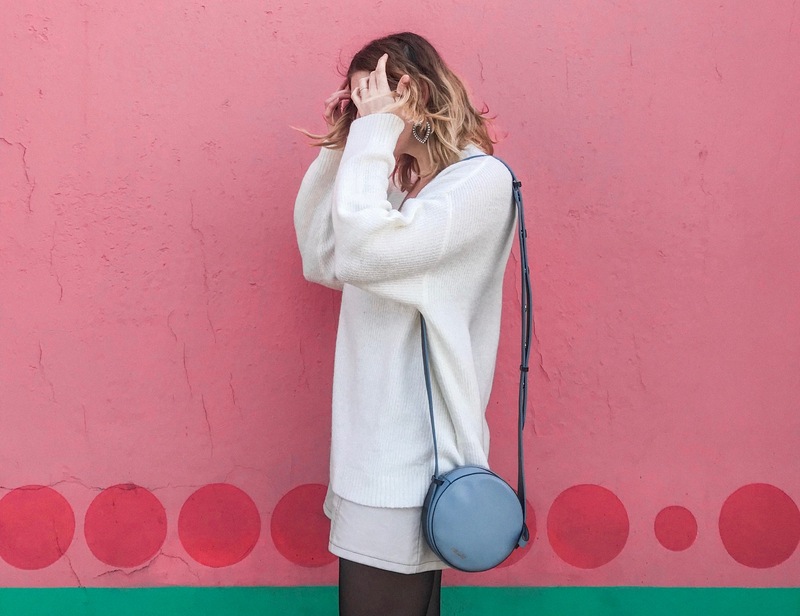 Luckily my suitcase was only half-full upon my arrival in the city, so that there was more than enough space to stuff my brand-new jumpers into my suitcase. We ended our day in the lively Meatpacking District of Vesterbro, old industrial buildings gone trendy, with restaurants and bars packed with people, the area was buzzing on this Saturday evening. We had some beers at Warpigs, a cool Camden-style bar, and after went to Gorilla, a restaurant that offered small and bigger dishes, Mediterranean style. The restaurant was busy & cosy, and the food nice. A little expensive but still affordable in Copenhagen-terms – I paid 34 euros for a first course (a delicious prawn bun), a plate of pumpkin ravioli and a glass of white wine. The dishes were original, full of flavours I hadn’t tried before, so definitely an experience worth trying. Stuffed and tired after a long day of biking and discovering the city, we headed back to our hotel, fell into a food coma and got up not too late for our second and last day in Copenhagen. We started the day at a brunch place I couldn’t recommend more called Wulff & Konstali. I think this Danish bakery offering brunch as well is one of the best breakfast places I’ve been – ever. The waiters are all so nice, helpful and smiling, and will explain you their concept with pleasure. 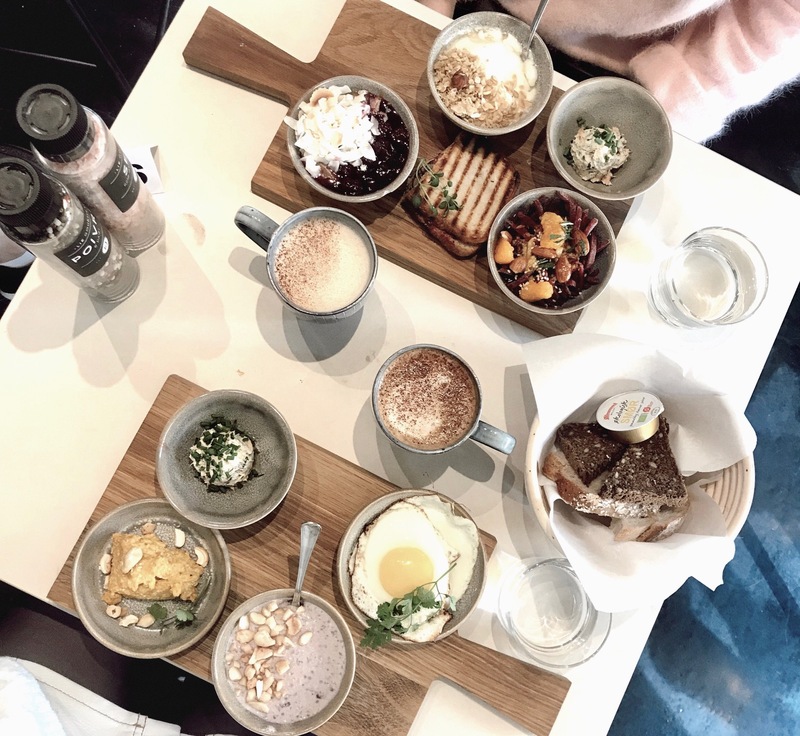 They hand you over a list of dishes to pick from, and for a set price you can either choose 5 or 7 food items, ranging from scrambled eggs to salmon mousse to purple porridge or caramel waffles. The small dishes were all delicious, and a bargain in Copenhagen-brunch-terms. I absolutely recommend having breakfast at this place if you’re in Copenhagen, but do come around 10-10.30 am at the latest, because after that the place is packed. The rest of the day consisted of wandering around the city, which was sunny on our last day, and admire the different Copenhagen colours. One of the places I loved was the Palads movie theatre, located on Axeltorv square, with Technicolor shades of pink, blue, green and orange. 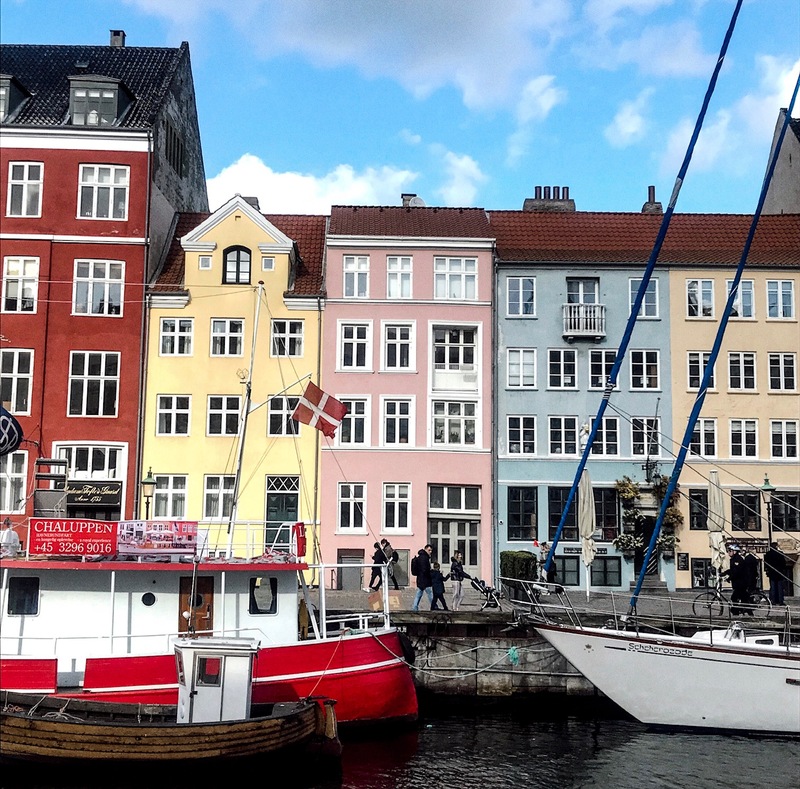 It was the cinema version of the famous Nyhavn, the colourful harbour and the heart of Copenhagen. One of the things I absolutely loved was just biking around the city, discovering the pastel coloured houses and interesting architecture of the city, surrounded by spacious squares and canals, and filled with lovely and helpful people. 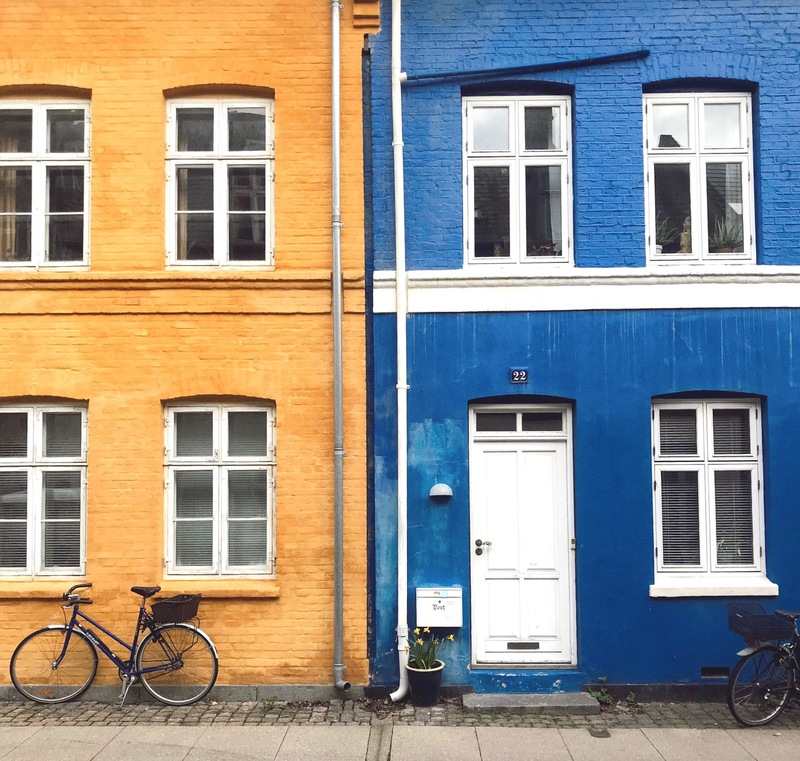 Copenhagen is a city I’d love to return to, for longer than just a weekend, to find out about more hidden spots, nice restaurants, trendy bars, amazing Scandi shopping & diving into the Danish culture. 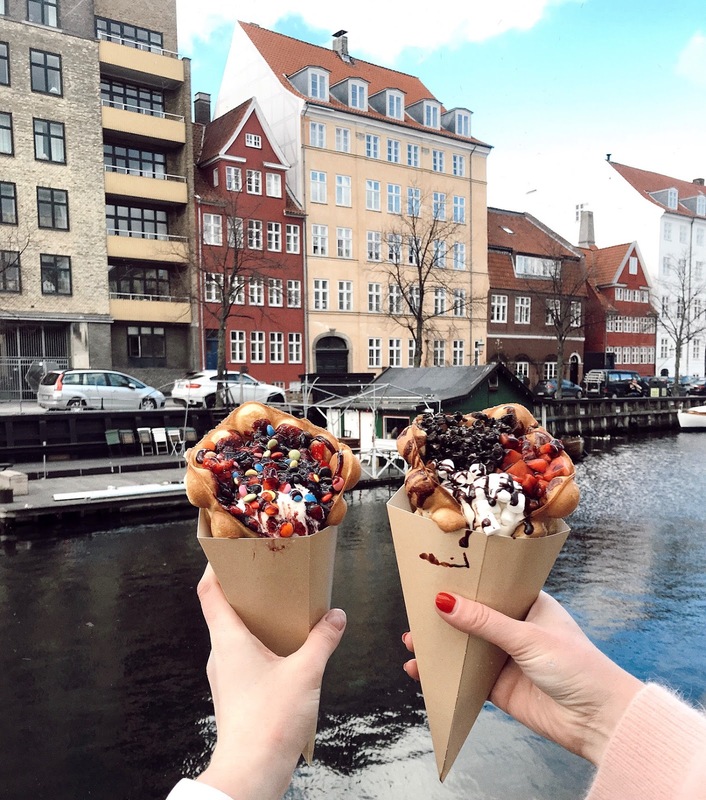 I couldn’t recommend this city more & I hope this guide of the city will help you if you’re planning a trip to the Danish capital.